We’re playing a game tonight! Three lucky winners will go home with a print by Charlie Rees. 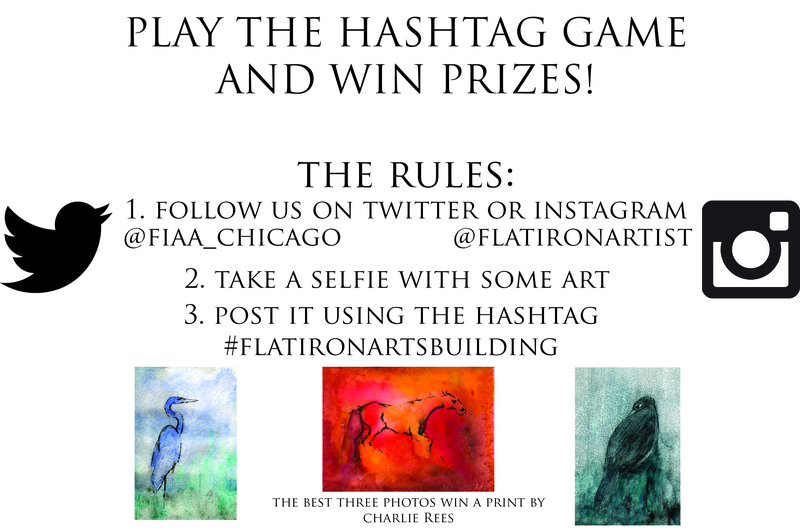 Take a selfie with some art in the building. Let’s see your best duckface tonight for Around the Coyote! Previous Previous post: Meet Coyote Artist Jennifer Cronin! Next Next post: A Busman’s Gallery of the Art on the Walls at the Flat Iron Coyote.